This Mardukite NecroGate blog post is officially extracted from the Liber R materials currently available in the recently released second edition of the NECRONOMICON REVELATIONS by Joshua Free. The way in which the mysteries were approached shifted away from the Divine after the “gods” left the earth in ancient times. The people forgot about the gods themselves, feeling abandoned and left within a system that was crashing – and the gods seemed to forget about the people, at least in the way they had watched over them in the past. The population was rising and the philosophers and politics changed the way in which the cultures operated within themselves and with others. To support the evolution of civilization, the programs had to be “upgraded” to keep the system from collapsing. More complicated and involved systems were going to need to be in place – and with this complexity came the rise in the chaos factor and the spread of the Darkness. This material is sure to be misunderstood by the uninitiated that is not aware of the “higher order” at place in the Universe – and how everything we interpret as “good” or “bad” is from the perspective of the Ego or I. “Darkness” is a name given to the part of the system that is not contained by the “Light,” which from a physical perspective, is thought to be the “Shadows.” But beyond being morally “good” or “bad,” the Darkness is merely the force (or name given to the force) that drives the Great Deception – that which keeps the experienced physical material existence in place. Consider it both the “spaces between spaces” and the “ghost in the machine” at once. ORDER THE MARDUKITE NECRONOMICON ANUNNAKI BIBLE TODAY!!! Darkness and Deception, much like witchcraft and sorcery, are considered “negative” terms by the psyche. Curiously, each of these aspects are based on “fear” and the “unknown” – or “inexperience” and “ignorance.” Certainly, it is too cliché to simply say, as many have, that “people are afraid of what they do not understand.” But considering that experiential existence comes from “self,” it is wholly the case that people feed these experiences by their responses and thereby create a “resonance” with that concept. This impression or resonance is not felt just within the “reality” of the person experiencing it directly – it can be shared and it can spread. The larger the system and the more programs being run, the greater the chance for obscurity – the chaos factor. As more and more people became aware of this (and began feeding it), this too became “sentient” as its own program – and now people can even interact with it directly! For fans of the underground breakthrough anthology “Necronomicon: The Anunnaki Legacy”, the concluding companion mega-anthology has arrived! 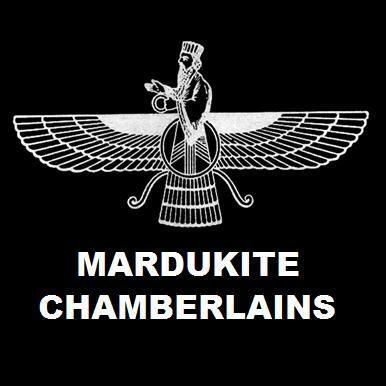 A Practical Guide to the Sumerian & Babylonian Mardukite System and Advanced Self-Initiation Curriculum For Modern Revivalists! SIX BOOKS IN ONE!!! — A master compilation of mystical exploration into the heart of ancient mysteries, appearing together for the first time in this amazing 2013 GOLD EDITION presentation of the complete supplements to the “Necronomicon” Anunnaki Legacy, illuminating revolutionary teachings and source materials of the Sumerian-Babylonian-Anunnaki Tradition unearthed from the Mardukite Research Organization, as edited by Joshua Free. In Part One: NECRONOMICON WORKBOOK (also released as MESOPOTAMIAN MAGIC), Joshua Free & Khem Juergen present a highly innovative collection of “Year-3” (2011) Mardukite research and development from three volumes: “Magan Magic”, “Maqlu Magic” and “Beyond the Ishtar Gate”. MAGAN MAGIC: THE ENUMA ELIS (Liber-E) amazing cuneiform tablet records of magick and creation come together to reconstruct the most antiquated, powerful and legendary “magician’s primer” known to men –formulated by the ancient Sumerians and Babylonians! MAQLU MAGIC (Liber-M) reveals an authentic “Necronomicon Spellbook” of advanced Mesopotamian Magick drawn from the sands of Babylonia forming a complete Anunnaki (‘alien sky god’) “grimoire” used by magicians and priests for thousands of years to combat in wizards’ duels, reverse the effects of evil spells and curses, banish disease and nightmares, and conjure the protection and blessings of the gods! BEYOND THE ISHTAR GATE (Liber-C) is concerned with the ‘other side’ of the tradition, parts that have been concealed and yet also what made the tradition famous – mainly, the connection to the “Other”, that which we have been programmed to perceive as ‘separate’ from this reality. The second half of NECRONOMICON GNOSIS provides a superior collection of controversial underground materials relaying an amazing synthesis of the secret evolution of Anunnaki traditions — both ancient and modern! Joshua Free’s HISTORY OF THE NECRONOMICON includes the complete materials from “Enochian Magic & The Kabbalah”, “Stargate to the Abyss” also released as “Necronomicon for Beginners” and “Nabu Speaks: Part One: Of Babylon & Egypt”. ENOCHIAN MAGIC & THE KABBALAH (Liber-K) illustrates the singular origin of the mystical and spiritual traditions on the planet, all directed toward a human relationship with the “Divine”, however that might be viewed — angels, elementals, fairies, gods or other ‘alien’ beings — and more importantly, the methods by which they have been attracted into one’s life. STARGATE TO THE ABYSS (Liber-555), After having completed the entire ‘Necronomicon Anunnaki’ literary legacy with the Mardukite Chamberlains, prolific writer, editor and founder of the “Mardukites”, Joshua Free, ends his years of silence concerning the Simon Necronomicon by finally providing his expert commentary on the classic text. NABU SPEAKS: PART ONE: OF EGYPT & BABYLON (Liber-12) is an amazingly unique and historically verifiable first-person narrative explains the struggles and successes of the ancient Nabu tribes, a “Mardukite clan” that sought to famously raise Babylon and Egypt to power by ‘Divine Right’ under MARDUK-RA; the rise and fall of the Sumerian Anunnaki, the creation and disposal of upgraded humans, the birth of societal systems of religion and politics, as well as interpersonal exchanges and feuds that were taking place “behind-the-scenes” among the Anunnaki themselves, those “ancient aliens” who became fixed in human consciousness as gods, angels, demons and spirits.